APRIL 2014 – A new publication from the Dr. Rath Research Institute, now available in the International Journal of Oncology, demonstrates that dietary intake of micronutrients acting in synergy can significantly suppress tumor growth and metastasis from breast cancer cells injected into the mammary pads of mice. This in vivo and in vitro study further supports the efficacy of this new natural approach in the control of cancer. Breast cancer, the most prevalent cancer in women worldwide and the leading cause of cancer deaths in women, was projected to claim the lives of around 39,620 women in the U.S. in 2013. The survival rate after metastasis has occurred is drastically reduced to a median of 2-3 years, with no effective treatments available. Our main objective in this study was to determine the effect of dietary supplementation with specific micronutrients on the development of tumors and metastasis to other organs by challenging mice with breast cancer cells injected directly into the mammary pad. We choose the 4T1 type of mammary cancer cells as a suitable experimental model for human breast cancer growth and metastasis. 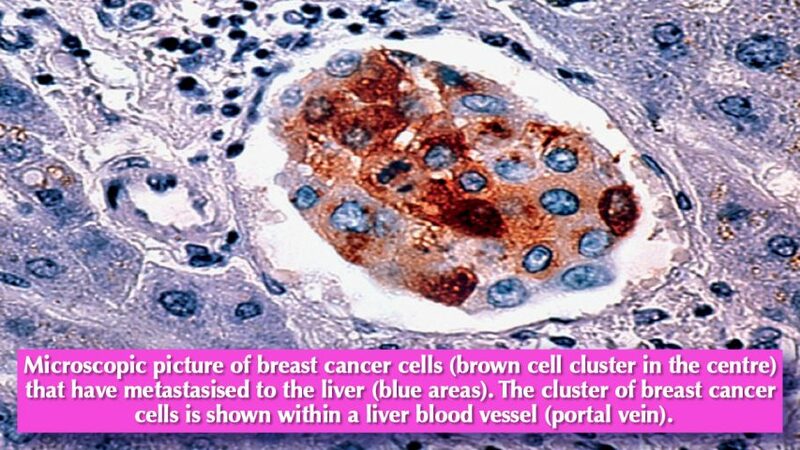 These cells can be easily transplanted into the mammary gland so that the primary tumor grows in the anatomically correct site and, as in human breast cancer, the metastatic disease develops spontaneously from the primary tumor. In addition, metastatic spread of 4T1 cells to other organs and the draining lymph nodes is similar to that of human mammary cancer. In order to elucidate the cellular mechanisms involved we also tested in vitro how the micronutrient mix added directly to 4T1 cells affects their viability, MMP secretion, migration and invasion. The results have shown that the growth of breast tumors can be reduced by over 50% with dietary intake of specific micronutrients . 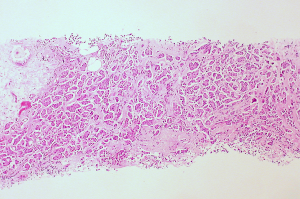 The most frequent site of breast cancer metastasis, the lung metastases, were reduced by 87%. Liver, spleen and kidney metastases were also significantly suppressed. 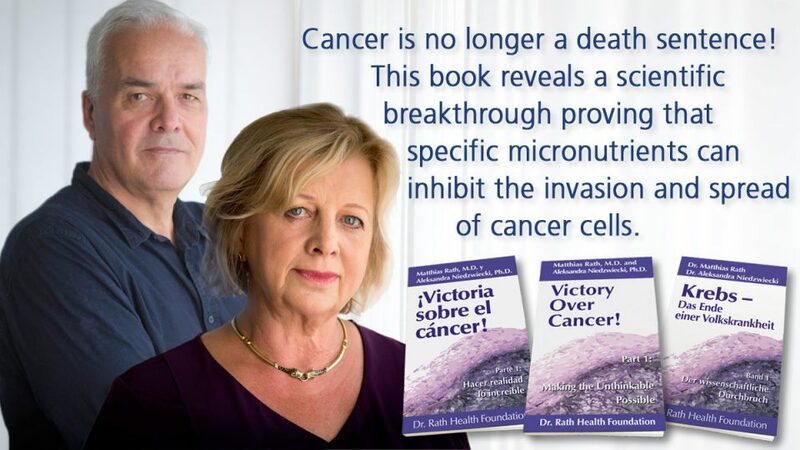 Even more, the study demonstrated the efficacy of our micronutrient mix in inhibiting a rare metastasis to the heart. These are the same sites of metastasis seen in human breast cancer. Furthermore, the micronutrient mix also demonstrated dose-dependent inhibition of breast cancer cell proliferation, secretion of extracellular matrix destroying enzymes MMP-2 and -9, and the halting of breast cancer cells’ migration and invasion through connective tissue (Matrigel) – all of which support the in vivo results. Contrary to conventional cancer treatments, and as demonstrated in our previous in vivo safety studies, the nutrient mixture administered at the relevant doses does not show any toxicity. This new scientific contribution further confirms that this new direction in the control of cancer, through metabolic regulation utilizing natural cell components, has real therapeutic potential. This is contrary to the widely used chemotherapy approach, which results in total intoxication of the body without much clinical success.